Mischa Dohler, "Internet of Skills - Time to Disrupt Cellular"
Marco Fiore, "Hidden Structures in Mobile Network Traffic"
Erol Gelenbe, "Stable Networks of the Future"
With the emergence of an ultra-responsive and reliable "Tactile Internet", advanced techniques in robotics and artificial intelligence, we predict the emergence of an "Internet of Skills" which allows the transmission of labor globally. It will invoke an important shift from content-delivery to skillset-delivery networks, where engineers would service cars or surgeons performing critical operations anywhere on the planet. However, cellular access and networking has become highly non-competitive compared to other innovation ecosystems. In this keynote, I will expose how some simple changes in technical design could change that dynamics and thereby facilitate the Internet of Skills. Notably, I will deepdive into architectural and co-existence issues, and I will propose 3 disruptive design approaches. 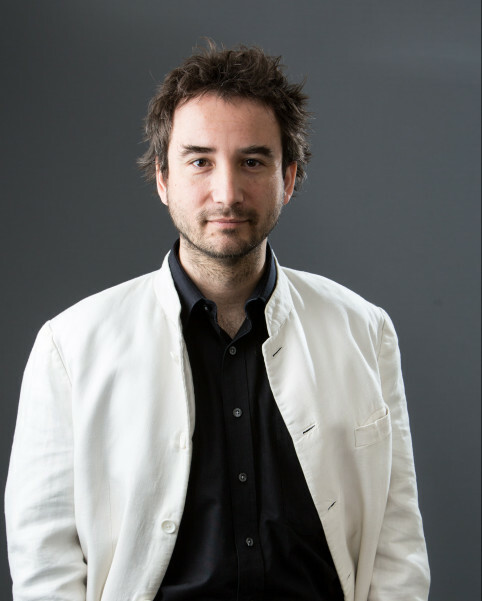 Biography: Mischa Dohler is full Professor in Wireless Communications at King's College London, driving cross-disciplinary research and innovation in technology, sciences and arts. He is the Director of the Centre for Telecommunications Research, co-founder of the pioneering smart city company Worldsensing, Fellow of the IEEE and the Royal Society of Arts (RSA), and a Distinguished Member of Harvard Square Leaders Excellence. He acts as policy, technology and entrepreneurship adviser, examples being Richard Branson's Carbon War Room, former Minister David Willetts' 8 Great Technology Fund, UK Regulator Ofcom, UK Ministries, EPSRC ICT Strategy Advisory Team, European Commission, Tech London Advocate, ISO Smart City working group, and various start-ups. In the next few years, mobile networks will undergo significant evolutions in order to accommodate the ever-growing load induced by increasingly pervasive smartphones and connected objects. Apart from innovations in radio technologies, future-generation cellular systems will be designed for flexibility and reconfigurability. New architectural paradigms, such as cloud radio access and software-defined networking, will support a dynamic management of network resources that adapts to the spatiotemporal fluctuations of the mobile demand. This vision roots in the capability of mining large-scale traffic data collected in the network, so as to understand how resources should be established, relocated or released in an automated manner. In this talk, I will address a fundamental problem in knowledge discovery from mobile network traffic data, i.e., classification. I will introduce different perspectives in classification (with respect to space, time, and mobile service) and present suitable methodologies for each case. I will also show results obtained from evaluations with extensive real-world data, and discuss their applications to mobile networking as well as to other disciplines. Biography: Marco Fiore is a researcher at CNR - IEIIT, Italy. He received MSc degrees from University of Illinois at Chicago, IL, USA, and Politecnico of Torino, Italy, a PhD degree from Politecnico di Torino, Italy, and a Habilitation a Diriger des Recherches (HDR) from Universite de Lyon, France. He held positions as Maitre de Conferences (Associate Professor) at Institut National des Sciences Appliquees (INSA) de Lyon, France, Associate Researcher at Inria, France, visiting research fellow at Rice	University, TX, USA, and Universitat Politecnica de Catalunya (UPC), Spain, and a visiting research fellow at University College London (UCL), UK. Fellow of the Royal Academy of Sciences, Arts and Letters of Belgium (2015), the Hungarian (2010), Polish (2013), Turkish (2012) Science Academies, the National Academy of Technologies of France (2008), and Academia Europaea (2005). In the last year, and even in the last few weeks, the hacks of the NHS health informatics system and the failure of the British Airways computer networks in the UK, bring home the fact that computer systems and networks have systemic problems that lead to unstable behaviour. On the other hand, biological networks, e.g. Cyrcadian Networks, brain neural networks, gene regulatory networks and metabolic networks, can maintain stability over long periods of time, despite various influences, external effects and the numerous attacks that a living organism experiences. In this talk, we will propose a mathematical representation of networks which maintain stability pro-actively. Our starting point will be the theory of G-Networks, which are probabilistic meta-models for neuronal networks, gene regulatory networks and distributed computer systems and networks. We will present examples in each case, together with an overall mathematical formulation of stability and how it can be achieved by pro-active monitoring. Biography: Erol Gelenbe was born in Turkey and received his PhD in the USA. During the period 1973-93, he was a Research Director at INRIA and founded the performance modelling and evaluation groups, and held professorships at Universities of Liege (Belgium), Paris-Sud (Orsay) and Paris V.Â He has invented new mathematical models such as the Random Neural Networks and G-Networks, and the machine learning based routing protocol CPN. He initiated, or contributed to, commercial developments such as the SYCOMORE Voice-packet switch, the XANTHOS fibre-optics local area network, the QNAP, FLEXSIM and C2Agents simulation/modelling packages. After 1993, he held professorships at New Jersey Institute of Technology, Duke University and University of Central Florida. 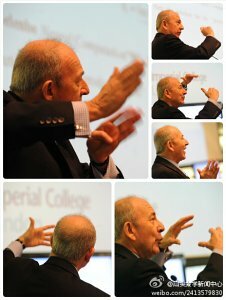 Since 2003, he is the “Dennis Gabor Professor” at Imperial College. Having graduated over 74 PhDs, including 17 women, 47 of his former PhD students work in Europe. Fellow of ACM and IEEE, he was awarded Chevalier de la Legion d’honneur (FR), Officier du Merite (FR), Commendatore al Merito (IT), Grand Prix France Telecom (French Academy of Sciences), ACM SIGMETRICS Life-Time Achievement Award, Denis Gabor Award (Hungarian Academy of Sciences), Oliver Lodge Medal (IET, UK), and three “doctorates honoris causa”. He was elected Fellow of the National Academy of Technologies (FR), the Royal Academy of Belgium, and the Science Academies of Hungary, Poland and Turkey.